When they think of QuickBooks, many executives and CEOs typically think about an accounting software program used by bookkeepers, accountants and CPAs to manage a small or mid-sized firm’s finances, inventory, customers and vendors. But thinking in terms of “QuickBooks for CEOs” broadens awareness to convey its strategic value in improving financial and operational outcomes. Since it was first introduced by Intuit in 1983, QuickBooks has become one of, if not the most, popular accounting software programs in the world. In fact, the word QuickBooks has practically become synonymous with business accounting and bookkeeping. QuickBooks software is currently used by 4.3 million businesses worldwide, and it is a powerful executive management tool. Management Decision-Making — The wide range of QuickBooks reports let CEOs instantly know how their business is performing at any given time. These reports include valuable, up-to-date information on income, expenses and outstanding invoices as well as a current profit and loss statement and balance sheet. When operating at peak efficiency, QuickBooks reports are clear and easy to understand, which makes them supportive of better decision-making. High-Level and Long-Term Views — QuickBooks provides high-level information that permits CEOs to view their business from the proverbial “30,000-foot level.” This includes seeing how complex data relationships are connected to each other and, thus, how they impact the business. This makes it easier for CEOs to more clearly project future outcomes and adopt a long-term view of the business. Business Opportunities — QuickBooks reports provide a vast array of detailed business information from across the enterprise. When properly correlated and interpreted, this information can provide CEOs with the insight they need to spot new opportunities that can lead to increased market share, greater efficiencies, lower costs and higher profits. Proper setup — QuickBooks must be setup properly from the start for CEOs to get the most benefit out of the software. If this isn’t done right, obtaining accurate and useful reports will be impossible. Massaging raw data — The process of massaging raw QuickBooks data so it can be reported in an understandable way can be cumbersome for CEOs. One solution is to use Excel Power Query for massaging QuickBooks data, a topic I addressed in a recent Journal of Accountancy article. Obtaining non-standard reports — Often, non-standard reports are needed to run the business that aren’t easily accessible. This can limit the effectiveness of QuickBooks as a high-level management tool for executives and CEOs. Executives interested in realizing gains and resolving challenges described above are best served by working with a professional with extensive experience in implementing QuickBooks correctly from the start. I have been a certified QuickBooks ProAdvisor for many years, and, in writing this article, my goal has been to draw on my experiences collaborating with executives on QuickBooks to share with you its strategic value, along with hurdles that get in the way. As a project CFO or part-time CFO, I can apply my expertise to help realize the full value of QuickBooks for CEOs and their teams. The word “QuickBooks” has practically become synonymous with business accounting and bookkeeping. However, many CEOs miss out on the high-level benefits of QuickBooks because they haven’t broadened their view of the software beyond bookkeeping and accounting. 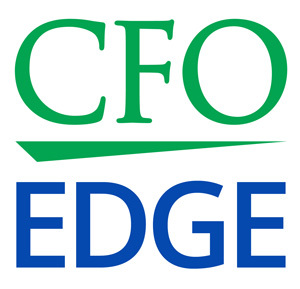 A CFO services partner acting as a project CFO or part-time CFO can help you overcome specific challenges and maximize the benefits of QuickBooks for CEOs. This can lead to better management decision-making, high-level and long-term views of the business, and the ability to capitalize more effectively on business opportunities.